It seems only fitting to continue with the pampering and sweets theme of the week. Friday, I plan to post one more Valentine’s Day goody. 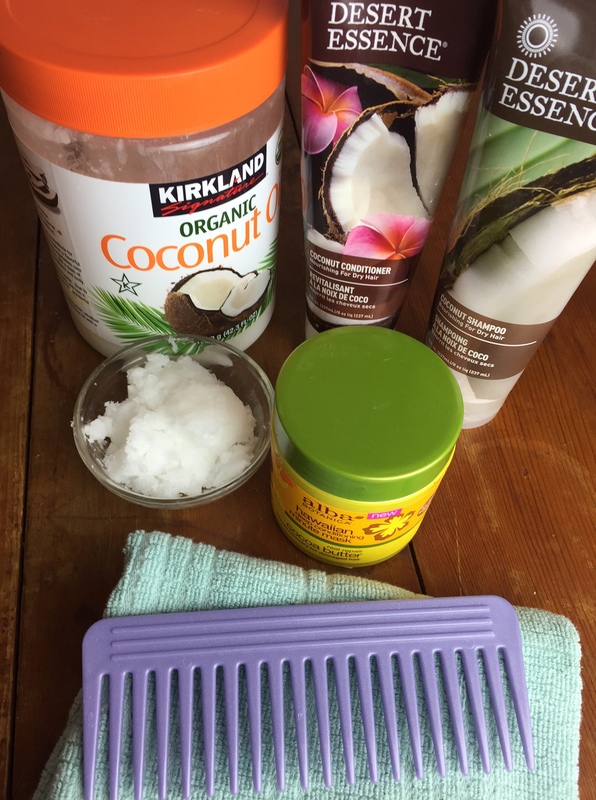 A couple of weeks ago, I shared my must-have products and at-home treatments for dry hair. Last week, I shared my new favorite DIY moisturizing Oatmeal-Fennel Face mask, to banish those pesky dry face flakes. Today I have a treat for the skin on your bod. While homemade body scrubs are nothing new, (a stroll through the aisles of Pinterest will give you about a gazillion different ideas) this one is my old stand-by. I almost always have all the ingredients to make it on-hand, it’s super simple, easy, and my skin is always happier after using it. Despite being inexpensive and a cinch to mix up, I sometimes forget about it. Yesterday, I decided it was time I make a batch, and my skin feels so nice and silky smooth now that I decided I just had to share it! Since having my daughter, I find I don’t get the time to linger around in the shower (or in the bathroom afterwards) as long as I used to. It’s often a race to jump in, suds up, rinse, and jump out. There isn’t a lot of time for putting on moisturizer and massaging it in and all that jazz. I love this scrub because I can skip the step of moisturizing after the shower. My skin is nicely exfoliated from the sugar and salt, and perfectly soft and silky (but not greasy) from the coconut oil. The Himalayan pink salt (or sea salt) isn’t a requirement, but I figure the extra minerals won’t hurt. Plus the pink color is kind of pretty. 1. I start with about a cup of granulated sugar. You can use any kind. I still have part of a bag of white sugar that I no longer bake with so I use it in scrubs instead. You can add about a tablespoon or more of coarsely ground pink Himalayan salt or sea salt, if desired. 2. Pour in about 1/3 to 1/2 cup of softened or melted coconut oil. 3. Stir it up with a wooden spoon or your hands. 4. Voila! A lovely scrub and in-shower moisturizer in one. I store mine in a bpa-free plastic container with a lid, and keep it right in the shower. Cheap, easy, and natural. And it makes your skin feel gorgeous! Looking for more ideas to pamper yourself? Try these! You’re welcome. Keep up the awesome blogging, and if you get bored why not check out my blog? I write short stories. Thank you, I’d love to check out your blog! (-: Thank you so much! I hope you have a wonderful rest of the week. I actually just finished my last scrub so I may have to look into making my own! Thanks for sharing! I urge you to give it a try, Courtney! It’s so easy, and just as good if not better than any scrubs I’ve bought from the store 🙂 Thanks so much for checking it out and taking the time to comment!